You might know that Jordan Younger is the wellness blogger behind The Balanced Blonde, but did you also know she's a yogi? Jordan's message of self acceptance, compassion, and wellness on an individualized basis inspires us daily, and is the epitome of yoga on - and off - the mat. 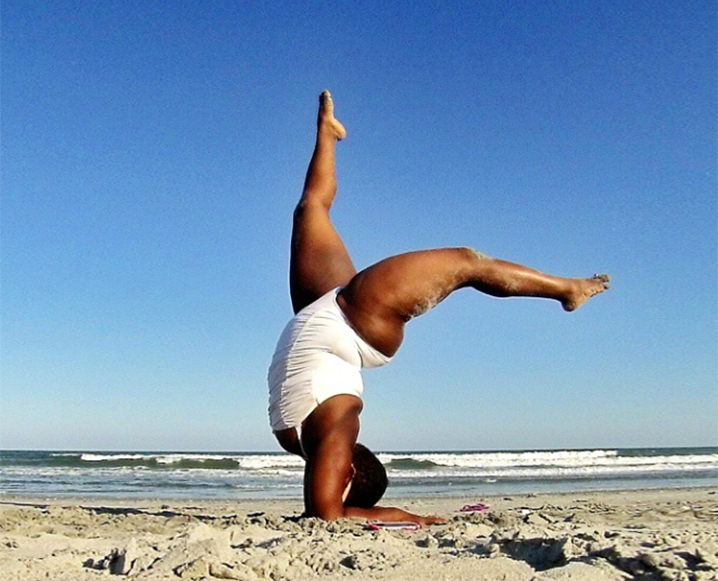 Body positive, confidence-boosting, and compassionate to the max: meet the new wave of Instagram yogis reminding us that yoga is about way more than the poses. Share the post "Meet The New Wave Of Instagram Yogis: 8 Body Positive New Follows"
Honored to be featured! Thank you so much! Love this list, Katie! I’d add Anna Gilbert Zupon to this list – she was yoga-ing up till the end of her pregnancy a few weeks ago. Thank you for adding a woman of color and a woman of size. It’s nice to see some diversity in your newsletter. I love it. I just want more diversity in the people you feature. Seconded. It’s great to see some diversity in this feature. I’d love to see more in the future.